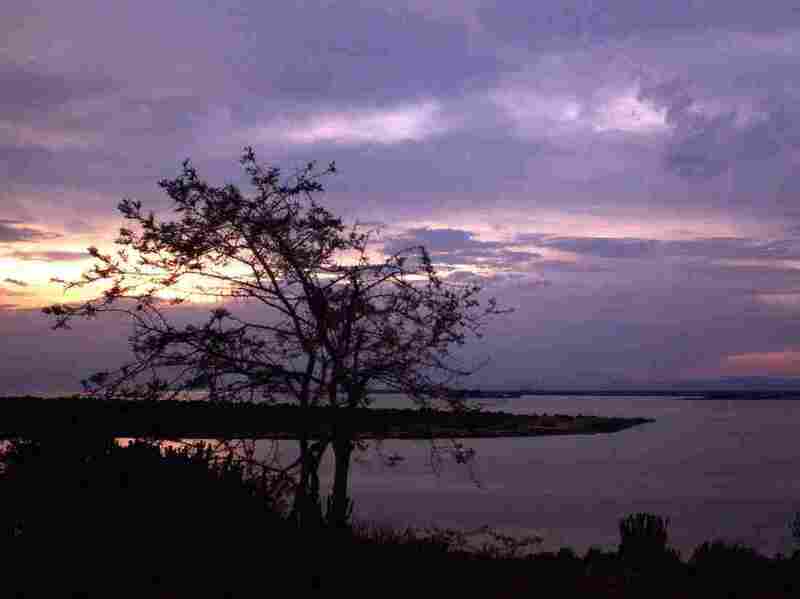 The sun sets over Lake George near Uganda's Queen Elizabeth National Park in western Uganda, in this 2000 photo. An American woman has allegedly been kidnapped while on a game drive in a national park in Uganda, and four arms are holding her for $ 500,000 Ransom. Ugandan police are in persecution, officials say. The news of the abduction comes one day after US Secretary of State Mike Pompeo told Americans held abroad that the United States will not pay release because it only calls on terrorists to seize more Americans. The 35-year-old woman and a Ugandan tour guide were abducted from their vehicle at gunpoint on Tuesday night while driving through the Queen Elizabeth National Park in southwestern Uganda, according to Uganda Police Force. Uganda Media Center said that after the kidnapping, four tourists were left "abandoned and untouched" and rescued after contacting the National Park officials. The park is close to the Congo border. Abductions of foreigners are not common in the region. Uganda Police says this is "the first event of this kind" in the national park. The Prime Minister told the NPR that it is "aware of reports from a US citizen kidnapped in Uganda. Responding to the incident." US officials have not confirmed the woman's identity. The US Embassy in Uganda suggested that visitors "be careful when traveling to this area." At an event in Washington on Tuesday for Americans 'families held abroad, Pompeo was said some people have suggested that the United States should return to the practice of paying ransom in exchange for the abductors' freedom. "I understand this plea from the bottom of my heart, and I am convinced that if I stood in your shoes, I would also be willing to do anything," Pompeo said. "I can understand that the suffering is indelible." But paying off releases creates unacceptable risk, he said. "Remember, any payment to a terrorist or a terrorist regime is making money so they can grab more of our people," Pompeo said. "Even a small payment to a group in, for example, Africa can ease the killing or seizure of titus or even hundreds of others, including Americans or foreign nationals of that region." "We also know for a fact that some terrorist groups do not seize Americans because we do not pay," Pompeo added. "It's a trend I want to continue."